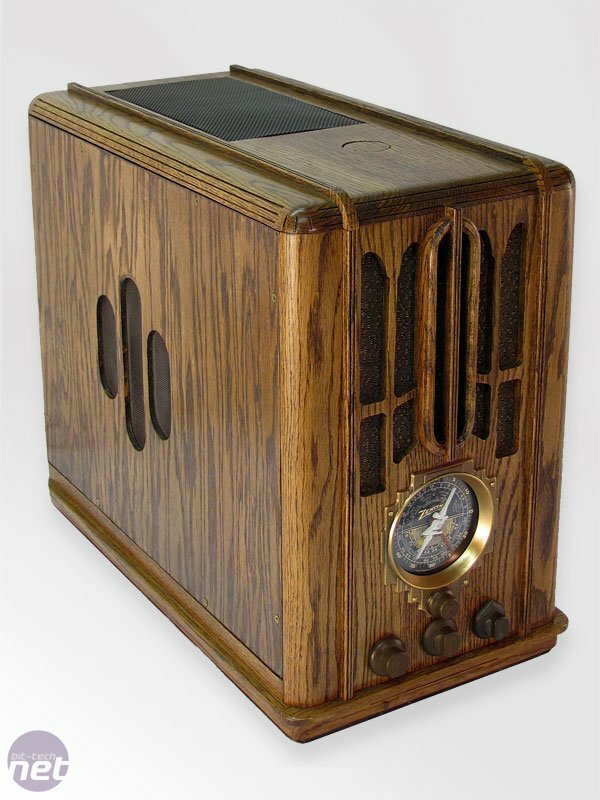 Foreword by Ricahrd Swinburne:This scratch build case is inspired by the Art Deco stylings of 1920s and 1930s Zenith radios, but despite looking back so far in time for inspiration, it still has modern features such as integrated watercooling. Gary has hand cut, sanded and altogether modded a complete build using inspiration of the classic design as ground work. Without a bit of clever handy work (and without looking around the back) you probably couldn't tell this was a post-Millennium product. We asked Gary to put us together a project log and he provided us with over 8,600 words of detail to go with the several hundred build pictures: for those of you who have a desire for detail: you've got it here! We'll pass it over to Gary now, so he can lead you through this feast of a magnificent mod. As I enjoy the design and building process, I find myself again working on another custom wood case design. A few years ago, I became so disgruntled with cases not designed for watercooling that I decided to make my own. Since I like to work with wood, this material was my natural choice. This case is my fourth custom case build. My plan is to build a performance minded system with a regular ATX motherboard with mid-sized tower dimensions. I considered changing to micro-ATX, but given the proportions of the radios that I have researched, using micro-ATX offers me no real benefit as far as size goes. 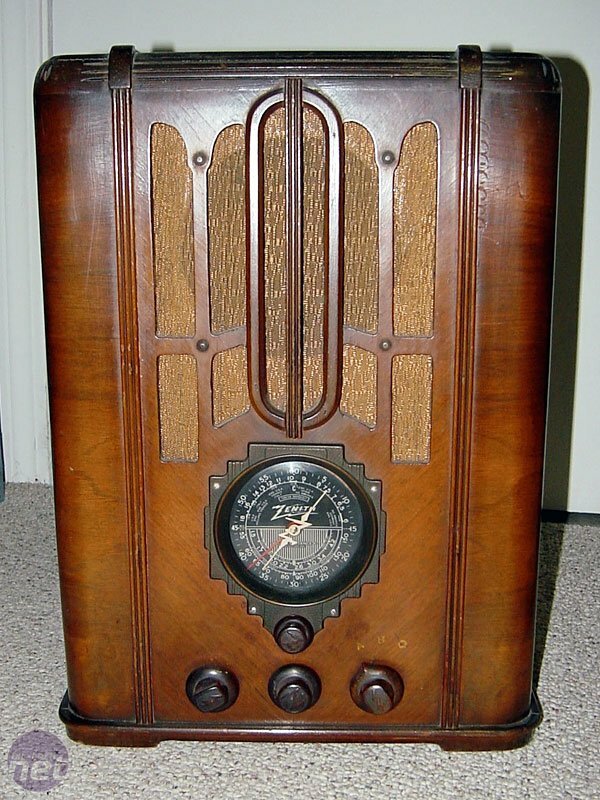 After doing a lot of research, I ran across the 1930s Zenith 5-S-29. 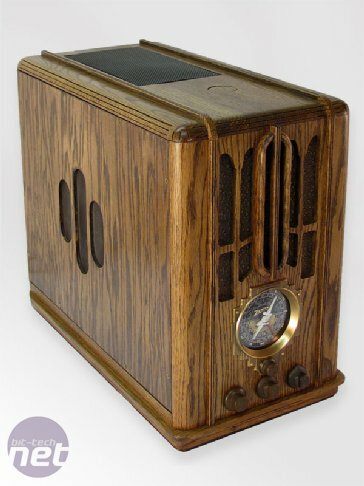 My daughter really likes the look of this radio, which was one vote for sure in its favor, but I also found that I could get a replica radio dial, dial glass, escutcheon (dial bezel), and knobs for it. Buying the replica parts is costing me about $120, but it will add a very genuine look and feel to the case.